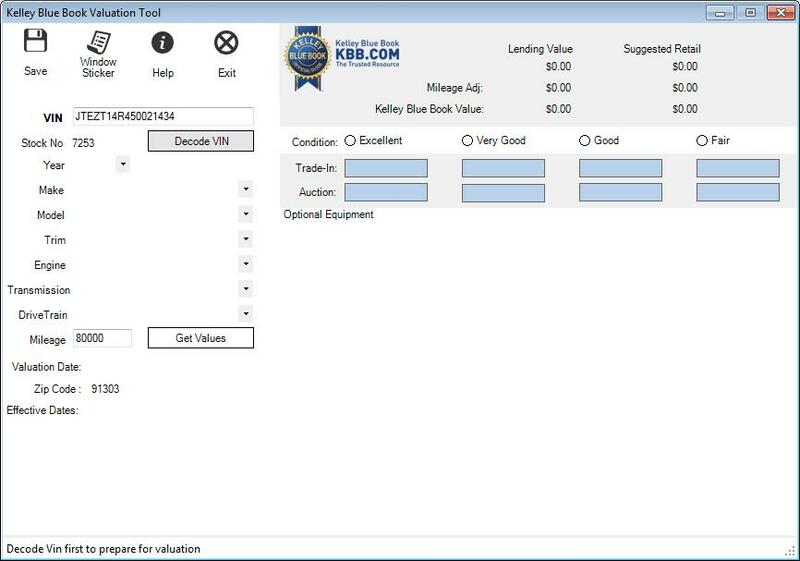 DeskManager now allows users to get Kelley Blue Book values on vehicles in their inventory. The first step in getting values is to click the decode button. 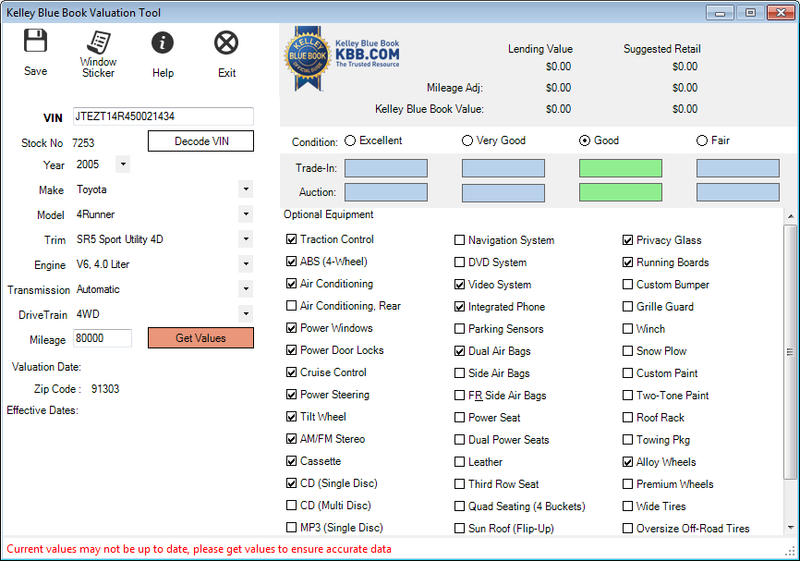 After the vehicle has been decoded, select all available options applicable to the vehicle and then click the “Get Values” button. 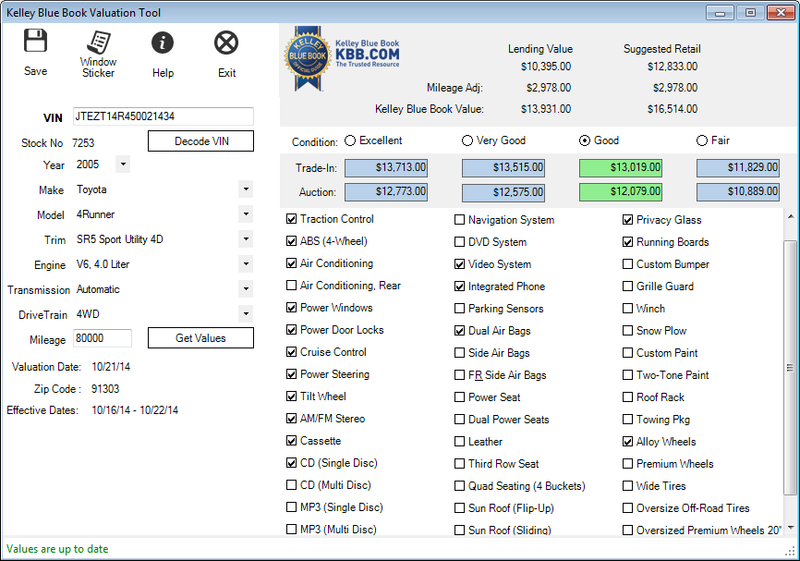 Finally select a condition and save the valuation.